In a park in Tottenham is a fine piece of Victorian engineering and an important piece of London's sewerage history. Markfield Beam Engine may not be a 'cathedral of sewage', but could perhaps be considered a significant temple! After a long restoration process, it displays its full glory once more. Although far from the Thames, Tottenham shared the sewage problems of the central metropolis. 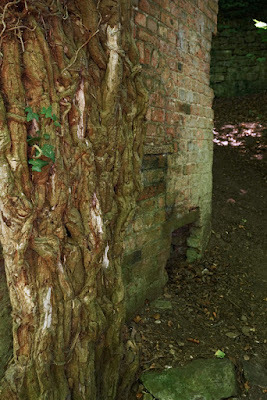 This outlying town had grown rapidly in the mid-nineteenth century, and many homes' sewage discharged directly into its rivers, the Moselle and Lea. Thus the local board built the Markfield Road sewage works, which were run by a manure manufacturer. However, when the contractor died in 1858, the foul water ran into the Lea instead. In 1866, the resulting pollution was alleged to have killed nearly 4,000 people in a cholera outbreak by contaminating the Lea, a major source of East London's water. 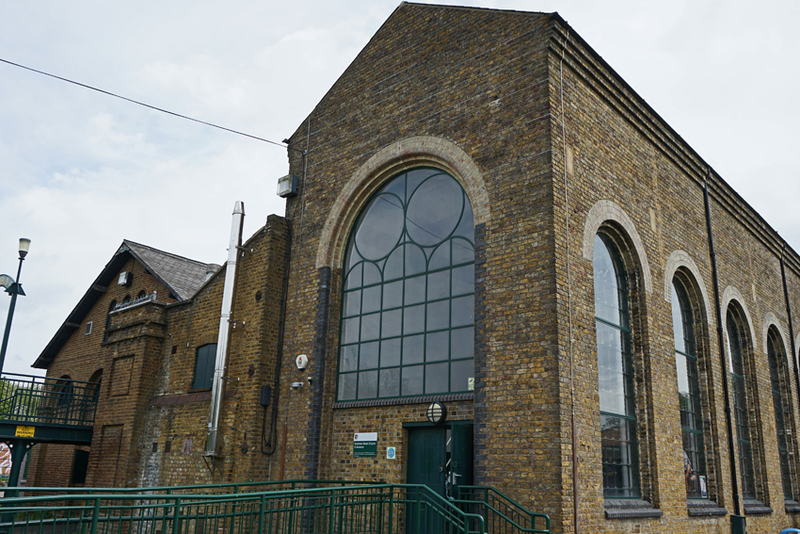 Improvements gradually followed, including appointment of a new contractor for the sewage plant, and the addition of the beam engine in 1886. From the end of the century, sewage went to Hackney's Northern High Level Sewer; Markfield Road was thus used only to deal with storm water until its closure in 1964. 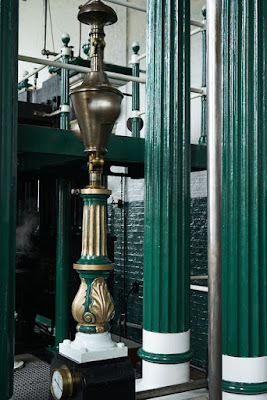 The 100-horsepower engine is massive: a 27-foot, cast-iron flywheel standing 17 feet above floor level and a 21-foot, wrought-iron beam operate two plunger pumps. These were each capable of moving two million gallons a day. 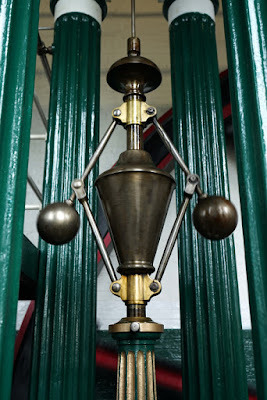 In true Victorian style, the machinery is ornate, with eight fluted cast-iron columns and decorative acanthus leaves. The engine's base and cast-iron columns ensure that it is independent of the building it stands in, not relying upon the surrounding walls for support. 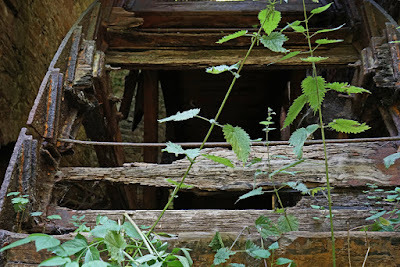 It was manufactured by Wood Brothers of Sowerby Bridge. 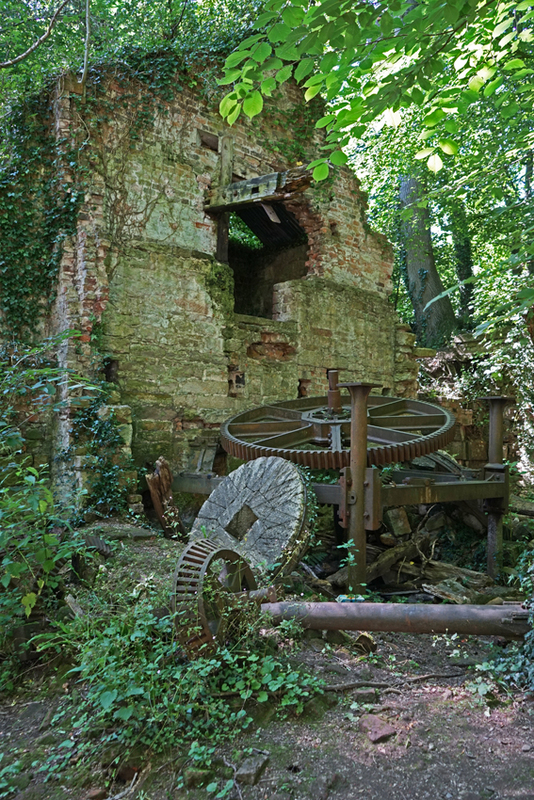 This company had been founded in 1847 to engage in cotton-spinning and engineering; a few years later, the two activities were separated, with Richard Wood taking over the engineering work and his brother John the cotton-spinning. 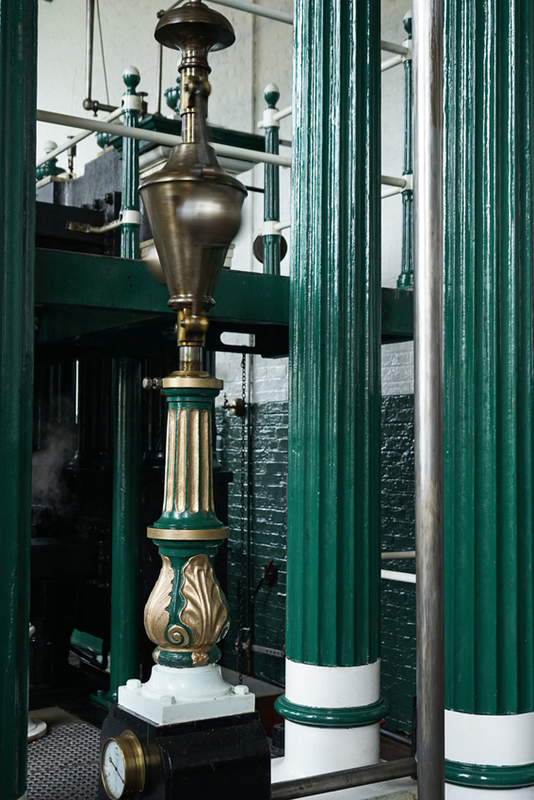 Markfield's is believed to be the last engine they produced. 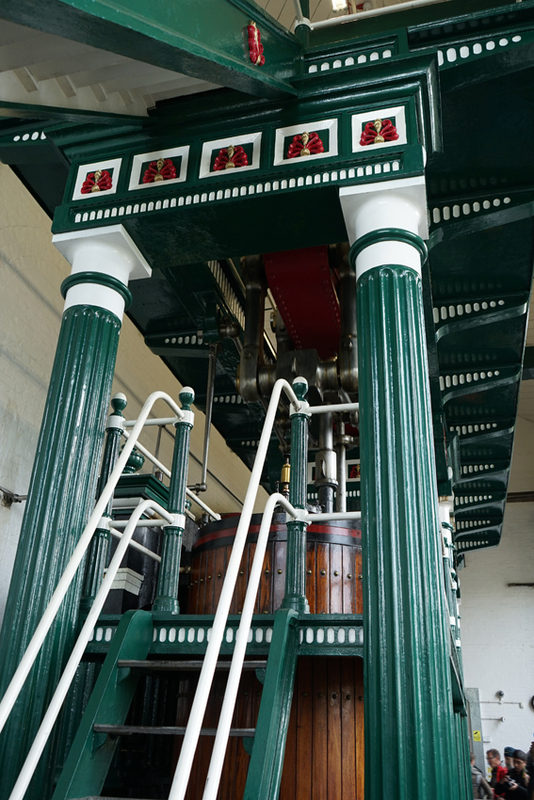 Massive and powerful as it was, the beam engine required plenty of resources to keep it running. Its coal consumption was four hundredweight per hour, and two driver/mechanics lived in tied cottages onsite. 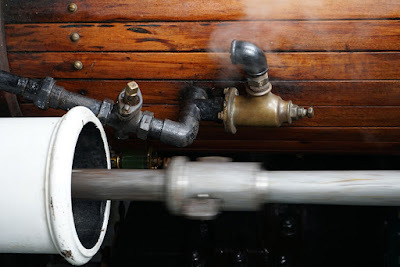 Its operation is no trivial matter, then, so we're especially fortunate to be able to see it in steam on the regular steam days. There are two left for this year, on 17 and 18 September (Open House weekend). An old water mill lies in ruins, almost hidden in woodland. 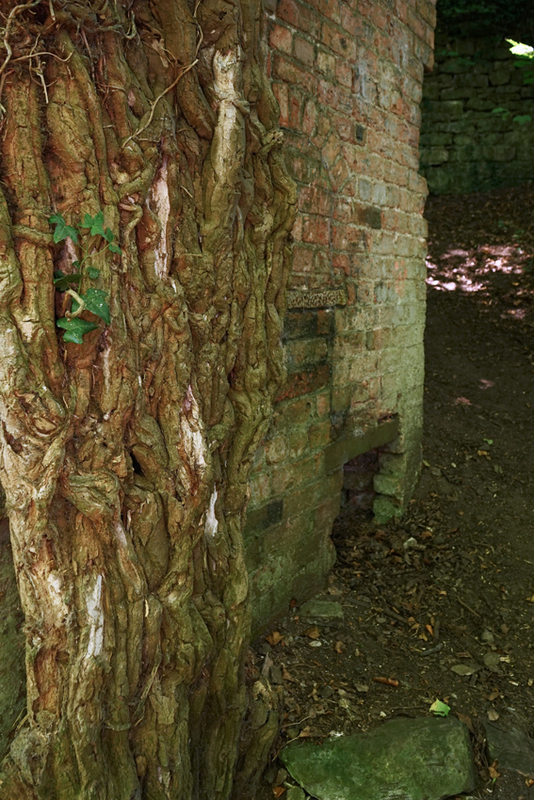 It can only be reached by descending a slightly precarious, steeply downhill route from the footpath above. 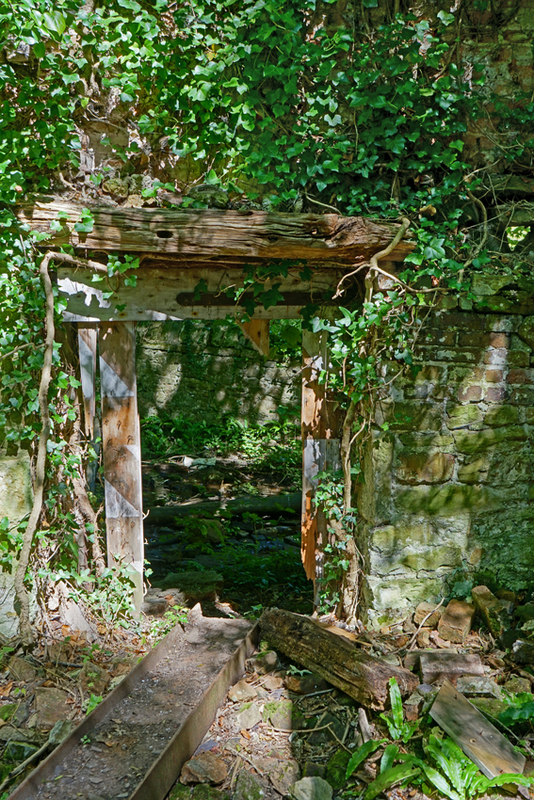 Trees and grasses grow through, around, and even over it, filtering the sunlight to a slightly eerie green. 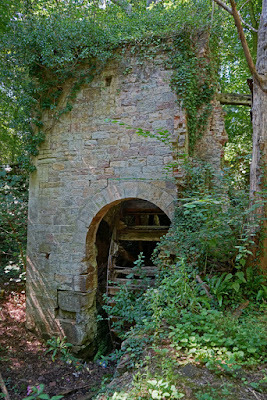 The nearby stream, no longer feeding the wheel, can be heard in the background. This mill used to grind corn for the village of Hawarden, Flintshire; there is little information about it online, but it was built in 1767 for the landowner, Sir John Glynne. (His descendant Catherine Glynne would marry William Ewart Gladstone, so the land is now known as the Gladstone Estate.) It was later enlarged, rising to three storeys, and drove three pairs of stones; it apparently remained in use until the 1940s. 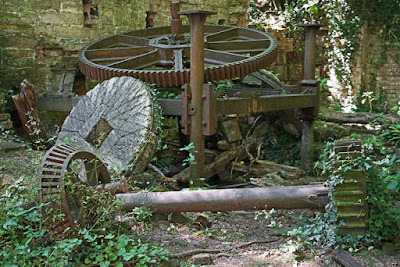 Much of the machinery, including the waterwheel and grinding wheels, is still on site. 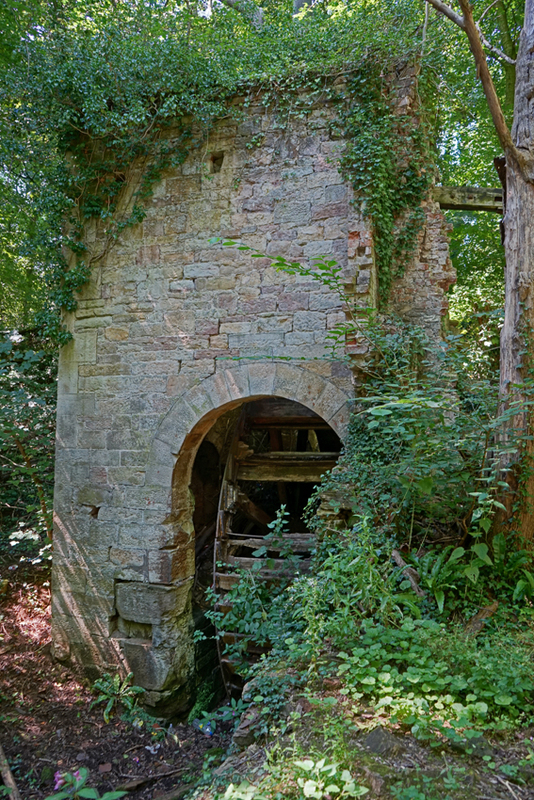 The millpond is silted, and parts of the culvert which carried water to the wheel have rotted away. 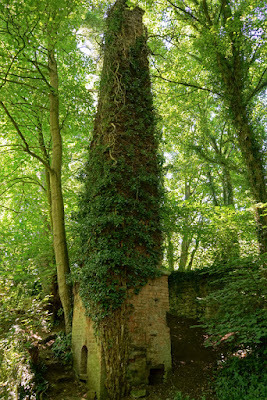 The neighbouring chimney's purpose is unclear, but it seems to date from an unsuccessful attempt in the 1860s to convert the mill to steam power. 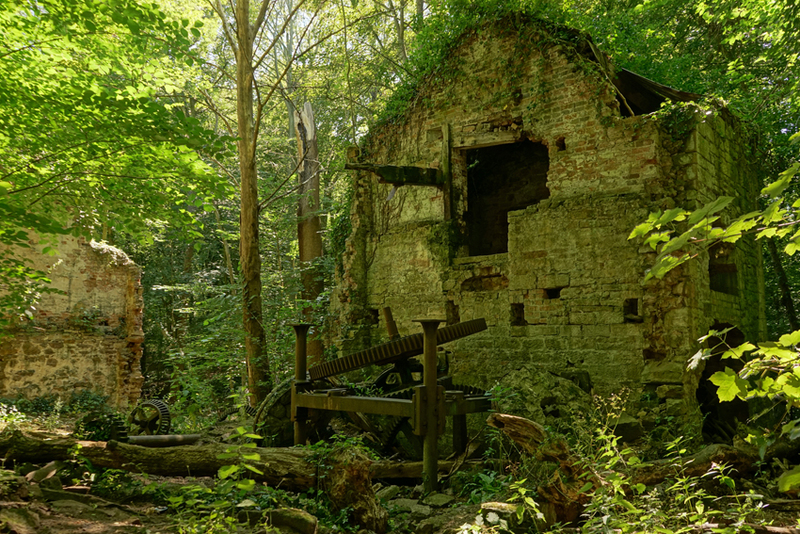 While there is always an air of sadness to ruined buildings, the mill's abandonment also gives it a certain magic. 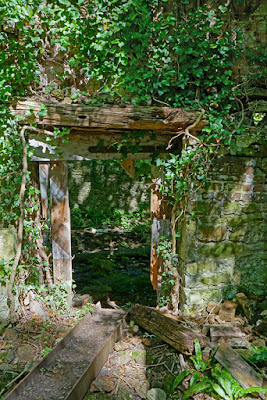 There is something special about clambering around ruins which are being absorbed back into nature, their fixtures not neatly preserved but lying crookedly where they fall. 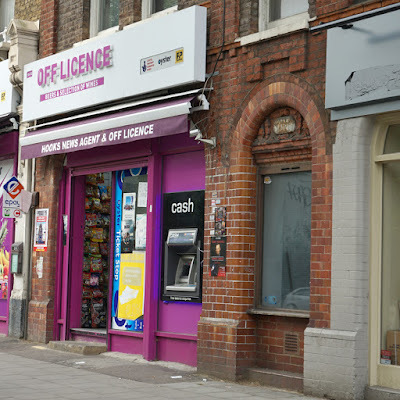 At the end of Hooks Newsagent on Kennington Road, a short walk from Lambeth North tube station, is a puzzling plaque. 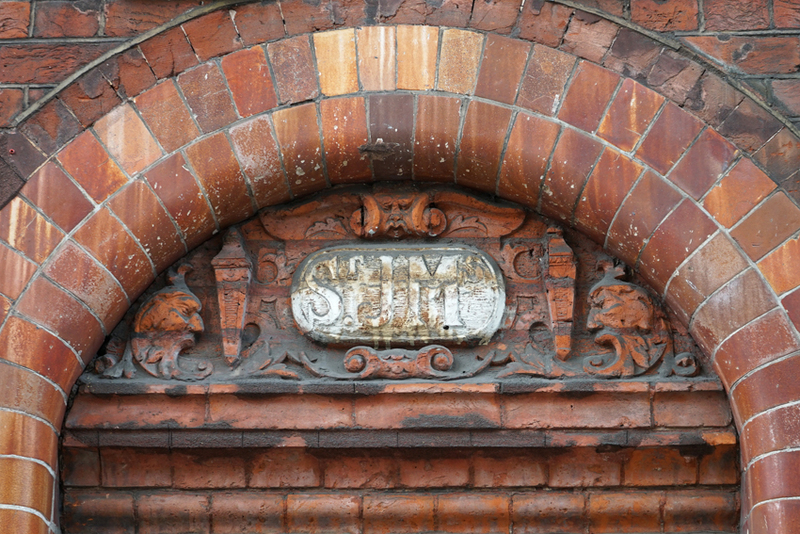 Fixed above a window, it reads 'St JMs'. But what does it stand for? I can't find any clues. 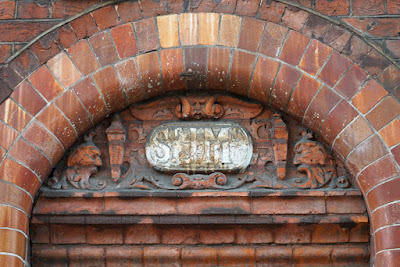 The 'St' may suggest it's something to do with the parish ... but no nearby churches have corresponding names. Does anyone have any ideas? Rusty, poster-covered, on an unlovely section of Parisian road outside La Santé prison, this construction isn't much competition for Notre Dame or the Eiffel Tower! 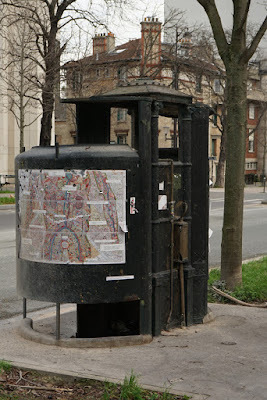 However, it does have its own interest: it's the city's last vespasienne urinal. These public conveniences (albeit for the benefit of a male public only) really were named for the Roman emperor. 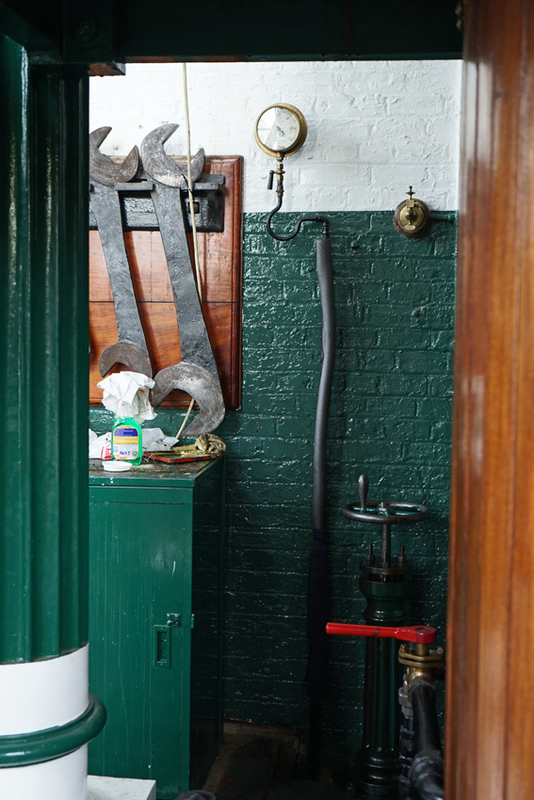 Vespasian had been credited with introducing public toilets to Rome (and then imposed a urine tax!). 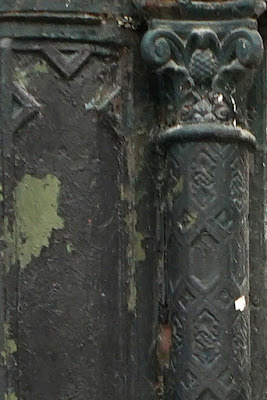 Public urinals have since been known as vespasiani in Italy, and the name travelled to France. While public urination was forbidden in Paris, the lack of alternatives meant it was rife in practice. 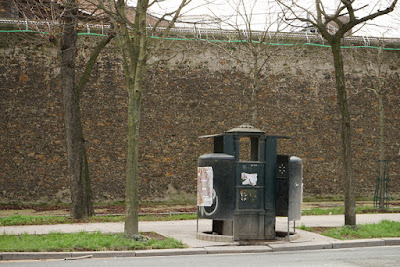 Police chief Antoine de Sartine introduced 'barrels of relief' in 1770, although it would be over sixty years before screened urinals were added to the city by its prefect, the comte de Rambuteau. 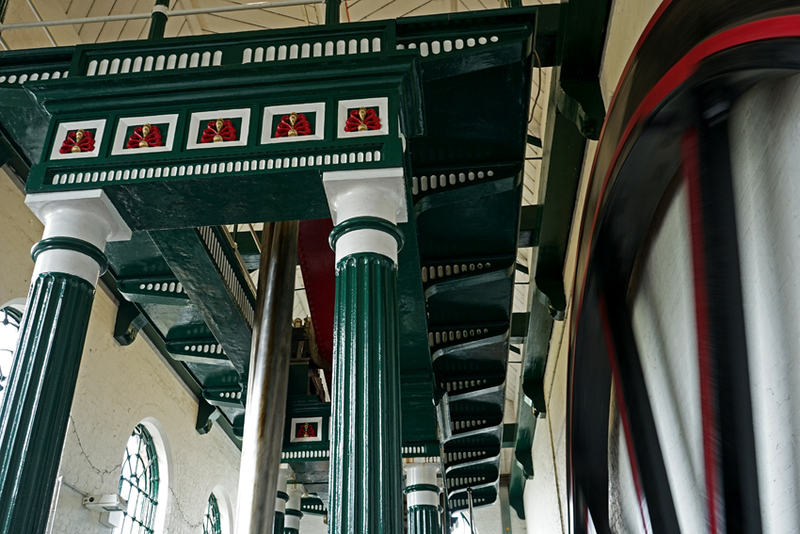 His political opponents dubbed these 470 conveniences 'Rambuteau columns': he responded by calling them 'Vespasian columns'. The latter name stuck. By the early twentieth century, there were more than a thousand urinals in Paris, but their days were numbered. 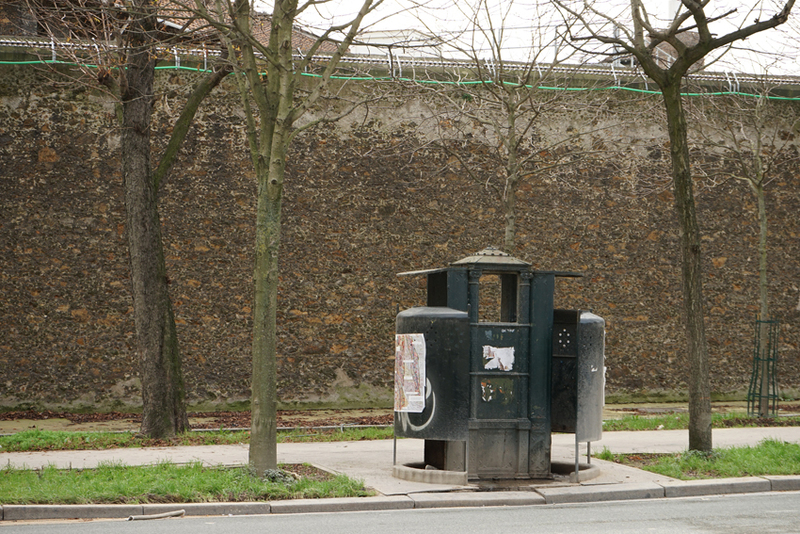 In 1961, the municipal council voted for gradual removal of the vespasiennes and since 1980 their place has been taken by sanisettes, automated toilet cubicles which finally provide relief to all who need it. There doesn't seem to be any information on why this sole example survived. Whatever the reason, it has taken on a historical interest its users in earlier decades would not have expected. 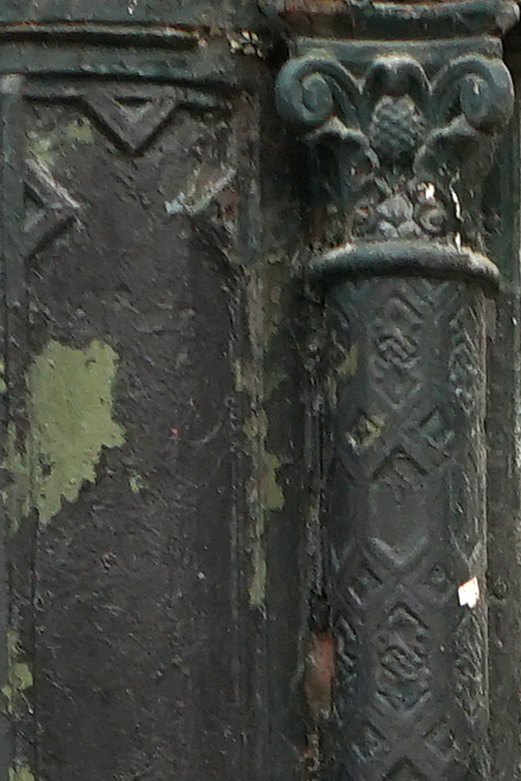 And it's a rather good example, with some nice details in its cast iron panels.